Hello dear RQL friends !! Would you like to indrotuce yourself to the listeners / readers ? HEY There All You Radio Loviisa Rock n´Rollers ...!! They call me Ozzi and i Bang the drums in this band called LIVERBOX . 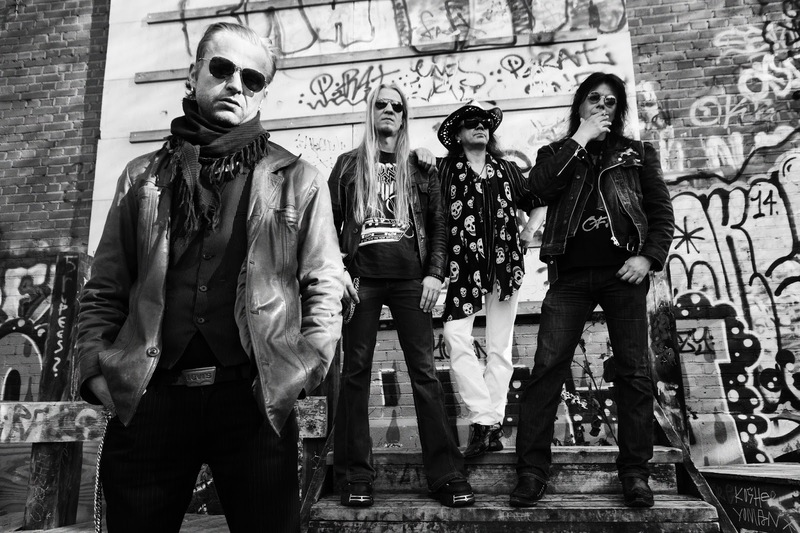 When the band was born ?The Roots of the band goes back all the way to year 2006 when Mr.Järvenpää and Mr. Thomas. formed the first incarnation of the group to play one AC/DC Tribute gig here in Oulu at the AC/DC Marathon happening . 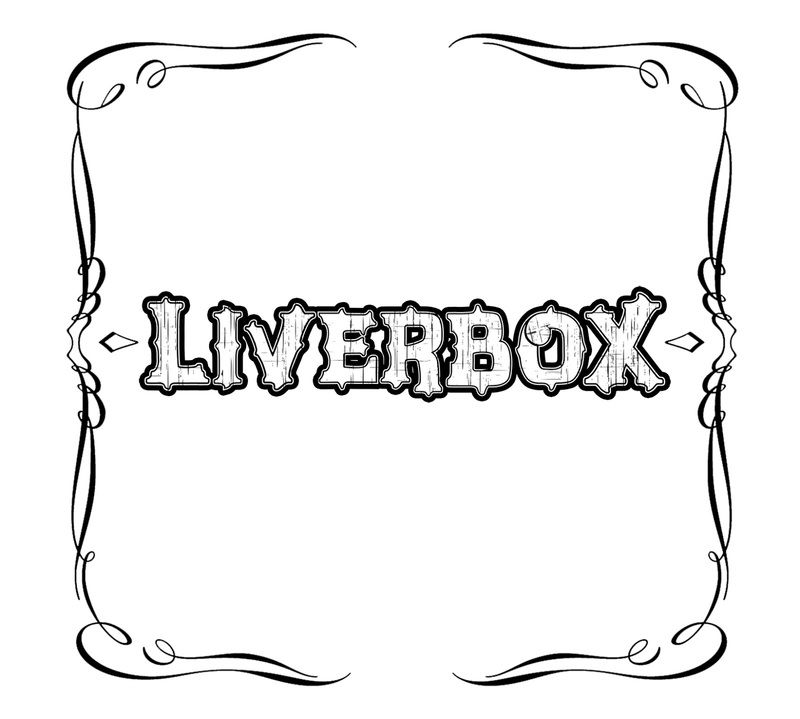 Why are you called Liverbox ? Who came up with the name ? 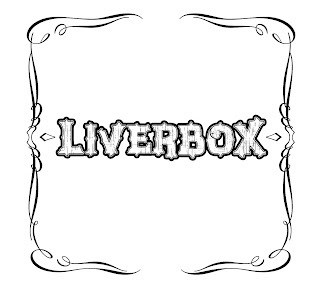 Were you in some other band before Liverbox ? Other bands before Liverbox ,,,, You know , i didn´t play drums for more than 15years before i joined the band !! Yes we had bands in the 80´s and early 90´s but then i quit playin´drums when i was still quite young . Sure i´ve played some acoustic gigs as a troubadour here n there during the years but it was my buddy K.Thomas who convinced me to start playin´ the drums again after such a long break . So , hats off to him !! When did you started playing / singing ? but i think i was around 13-14 years old when i got my first drum kit and that´s when it got way more interesting and real. Which is/are the best memories you have as a band ? Best memories as a band ....oh well , it´s been an wild and interesting 3years with these guys . If you could perform with any singer/band who would it be ? Last autumn your album was released, was it your first one ? Would you like to tell us something about it ? Where the listeners can buy your album ? 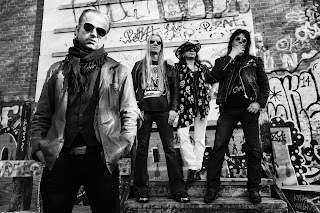 Yes our debut Cd was released november last year and be sure you get it from LEVYKAUPPA ÄX !!! We went in studio with kind of Punk attitude so not too much planning was done around that time . it came out the way it was supposed to . Do you have any plans for the future (gigs,albums,new songs......) ? -Hello Cesco would you like to introduce yourself to the listeners / reades ? -Hey, my name is Francesco, but for friends I'm Cesco. I'm a boy who is following his passion for the music.... but mostly I'm a boy like you, that is following his dreams, living for them and let the rest apart. -When did you start playing / singing ? -I started playing when I was 10 years old and since then I couldn't take my hands off a guitar, at that time I used to be mostly in rock bands playing Deep Purple and Pink Floyd covers, just the opposite of what I play now ... at 14 I took a different path. I wouldn't describe myself as a singer, but as a storyteller, as a songwriter who tells his life music. -Has it always been your dream to be a singer ? -Not really.... at least not in the womb (ahahahaha) but as soon as I hit my teenage years I started to dream about it. -How would you describe your music ? My music talks about me, it's not 90's simple rap, just a laudspeaker,a bass and words ... it's an explotion of music ... not that the old style was bad, what I mean is that in my music I want to hear the guitar and the voice following it. -Do you write lyrics and music by yourself or you work with someone else ? I usually write the lyrics, as for the music I make a sort of 'blueprint' with the guitar or the piano and then I take it to my producer to finalize it. -What inspire you to make music ? -My inspiration is the world around me -If you could perform with any artist who would it be ? -If you could perform in any place where would it be ? -Olympic stadium.... Is this too much :)-How do you see yourself in 5 years ? -I don't have a clear vision of my future, I prefer living in the moment and build a strong fountadion for the future I want. -Do you have any plans for the future ? -Where the listeners can find your music ? -On youtube by looking for "Cesco"
-Where the listeners can follow you to be always update ? -On facebook and instagram looking for "Cesco"
Thank you very much Cesco for this interview, we wish all the best to you in the future and if you come to Finland please come to visit us. Buongiorno, mi chiamo Francesco, ma per la maggior parte Cesco, sono un ragazzo che coltiva la sua passione per la musica .. ma soprattutto.. sono un ragazzo come voi, uno che sta inseguendo i suoi sogni vivendo per loro e tralasciando da parte tutto il resto. -Quando hai inziato a suonare/cantare ? Ho preso la chitarra tra le mani a solo 10 anni, da all’ora ho avuto gruppi in cui si suonava principalmente rock come i Deep Purple i Pink FLoyd, il contrario di quello che faccio ora.. infatti abbandonata la scia "Rock" all’ età di 14 anni ho intrapreso questo percorso.. non mi definirei un cantante ma semplicemente un raccontatore di storie, un cantautore uno che racconta le proprio vita "canticchiandola"..
-Hai sempre sognato di fare il cantante ? Diciamo di no.. ho meglio quando ero in grembo ancora no.. (ahah) appena ho appreso la lucidità e la "razionalità" di un adolescente sognatore si..
-Come descriveresti la tua musica ? La mia musica è il racconto di me, non è il semplice rap che andava degli anni 90 con cassa basso e parole… ma è una vera CONCENTRAZIONE.. un esplosione di musica… non che quella precedente non sia musica ovvio, ma intendo dire che nella mia, mi piace sentire la chitarra che suona, e una melodia che la segue. -Ti occupi da solo di scrivere i testi e le melodie, oppure collabbori con qualcuno ? I testi li ho sempre scritti da me, invece per quanto riguarda la produzione musicale.. solitamente le musiche partono da me che creo con il piano o la chitarra dei mini arrangiamenti da cui parto a scrivere.. succede che spesso mi creo anche una base integra da solo (la produzione è un altra cosa a cui mi sto dedicando parecchio, voglio arrivare al punto di essere più autoproduttivo possibile..) che poi porto al produttore che affinerà il lavoro. -Qual'e' la tua ispirazione musicale ? La mia ispirazione è il mondo circostante..
-Se potessi duettare con un artista qualunque chi sarebbe ? -Se potessi cantare in un qualsiasi posto quale sarebbe ? Lo stadio Olimpico.. chiedo tanto? -Come ti vedi da qui a 5 anni ? Non ho una visione lucida di come sarà il mio futuro, preferisco vivere il mio presente creando le basi forti per costruire il futuro che voglio io. -Hai progetti per il futuro ? Si.. singoli a gogò, un disco di raccolta dei miei brani più riusciti con qualche pezzo inedito messo in cantina… e perché no.. anche un nuovo CD ufficiale.. delle collaborazioni..
-Dove gli ascoltatori / lettori possono ascoltare la tua musica ? -Dove gli ascoltatori/lettori possono seguirti per rimanere sempre aggiornati ? Su Facebook e Instagram sempre cercando "Cesco" A MAGGIO USCIRA' IL MIO NUOVO SINGOLO. Grazie mille Cesco per quest'intervista, ti auguriamo tutto il meglio nel futuro e se mai dovessi venire in Finlandia mi raccomando facci visita. Hello RQL friends, today we host a very special artist on our web-site : Maria Laura Baccarini, who agreed to have this lovely interview with us. Be sure to read it as it is so interesting coming from a multi-talented artist whose career has been full and interesting. I highly recommend to go and see her live if you have the chance ! -Hello Maria Laura, would you like to introduce yourself for our listeners\readers ? Well, hello! I am an Italian woman, actress-singer or singer-actress, I can’t tell what comes first … I live in Paris where I moved 12 years ago … since then I started a new career , a different life, by sharing wonderful experiences with amazing musiciens and composers, like Régis Huby. -You’re a very eclectic artist, actress, dancer, singer; would you like to tell us something about these different aspect of your career ? I am very curious , I like to explore… but to do that you need to know very well your instruments, and all different ways to express yourself. Your body, your voice, your heart, your mind. Then you also need to « live » intensely each moment of your life: happiness, pain, excitement, deception, failures, and victories … that ’s the « natural experience » of life … Then, you put all of that in what you do on stage … and that is fascinating … you change … always … that’s surprisingly good. -We read that you have worked for a while with 'La Rancia' troupe.We saw 'A chorus line ' production back in the 90's. How is to work in a musical ? -You have worked for television, theatre and cinema. Which one is your favourite? -Would you like to tell us something about your cd ‘'Gaber, io e le cose'' ? Gaber, io e le cose is a « duo ». 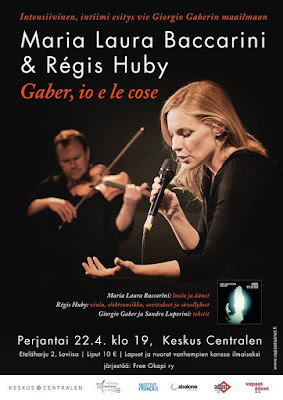 A voice ( my voice ) and a multi-violinist Régis Huby, who has done an amazing work of arrangements, so original and also very respectful of the meaning of each word .Giorgio Gaber is an italien ICON. He was a singer-actor-song writer and also an intellectual . He had the urgence to get to people , to touch their hearts, to wake up their minds .He and his friend lyricist Sandro Luporini, they wrote a portrait of the italien society, but they also told us about the deepest and complex part of the « human being ». Their language is so poetic and so real, so direct and refined .So, this project is deeply connected with my personal state of mind. It tells what I think about « le cose della vita » The music in beautiful and words are pure poetry . Hello RQL friends ! Today our web-site hosts a very special artist, Maria Laura Baccarini, who kindly accepted to have a lovely interview with us. Be sure to read it because she has had a wonderful and eclectic career and if you had the chance be sure to go and see her in one of her northern dates. -Is this your first time here in Finland ? Yes it is , and I am so happy to be here. People are great, full of kindness and very very sensitive. -How did you get here in Finland ? Thanks to Charles Gil ! He is a rare example of a manager who really does his job … he works hard ! His job is very difficult nowadays, and thanks to him a lot of musiciens come to this beautiful country and get the chance to meet wonderful people and know your culture. -Will you have other shows after the one in Loviisa ? Hello RQL friends and listeners, here we are with another interview to an international artist very dear to RQL. We've been following and playing Young Solace for quite a while now and finally we got the chance to know a little more about him. -Hello Solace, would you like to introduce yourself to our listeners\readers? -When did you start singing\making music ? I started writing at the age of 9. That was when I decided I wanted to be a rapper because I knew that I could be myself and still make good money. -Do you play any instruments? I like to play the piano and guitar on occasion, but i'm definitely no expert in neither field, but im trying to find time to take lessons, but because I'm so busy I don't know when that will start. -How would you describe your music? -Can you tell us something about the writing process ? Do you write all the lyrics or you work with someone else ? I do write all of my lyrics or in some cases I dont write at all, I just flow with what's on my mind. I pay attention to all the details of my music because I like for the listeners to have a vivid understanding of the point I'm trying to make. Sometimes I write the hook first & then the verse other times I do the complete opposite so my process changes all the time, but I overall like to make sure I'm having fun and staying true to myself as an artist. -Which kind of message we can find in your songs? I think the message that I like to get across the most to my listeners is to believe in yourself even if nobody else does and no matter how hard things are you have the ability to change your situation, because I come from nothing and if I didn't believe in myself I would still be nothing. The only person that can stop your success is you. -Do you want to tell us something about the single you released in the last days ? Rotation is the first single I have released this year and the song is pretty much about how I didn't know I achieved success when I became a little successful, I just kept working. I never focused on the success because there is still so much more I want to achieve. 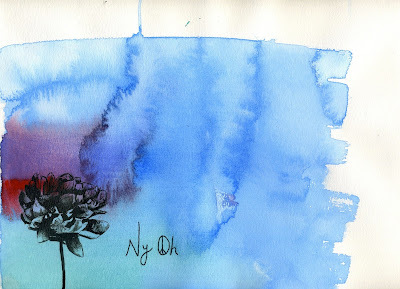 -Is there an artist (or more than one ) who especially inspires you ? T.I. is someone who inspired me growing up, because I feel as though we have similar backgrounds. T.I. is one of those people that is able to adapt to any situation that life throws at him and still remain himself, which is something i have the upmost respect for. -Is there an artist with whom you would like to work ? Lil Wayne is definitely at the top of that list, because his work ethic is out of this world. He means so much to hip hop that as soon as I get the chance to record with him I'm definitely going use it as a learning experience, and going harder then ever because you have too, it's Lil Wayne. -We know you're very proactive, you also work in a record label and you run your own business. Would you like to tell us something more about this ? How can you do everything ? It's amazing ! Working with Cash Money Records is definitely a dream come true for me. I'm learning so much about the business and getting the experience of a lifetime that is priceless. My shoe store, called "Soleciety", is where a lot of hard work goes into, but I wouldn't be able to do this without my team. I really have a group of amazing guys that help me keep the dream alive and if it wasn't for my boys Tee, Wolf, Medz & Ace I don't know how I would be able to do all this. I'm grateful to those guys forever as well as the Lord up above. -If you could make a wish, what would it be? I just wish I can take care of my family and friends, so that we never have to struggle ever again. That's why i do this, to put a smile on my mother's face and just enjoy life witht the people I will never forget. -Is there anything else you wish to tell to our listeners\readers ? Thank you all for listening and stay tuned in to Radio Queen Loviisa. Go get my new single "Rotation" available now for free download comment & share. Remember to follow your dreams your miracle could be right around the corner. -Where can we follow you ? ( social\youtube\website) Is it possible ot buy your music ? If it's possible, from where ? and follow our exclusive store @soleciety_ on Instagram. We do international shipping and make sure you click the link in my bio on instagram. I do have music for sale on Itunes and Amazon. Thank you so much Young Solace for this interview ! Radio Queen Loviisa is so proud of you and to call you a friend ! Keep up the great job you're doing. -Hello Steven, would you like to introduce yourself to our listeners\readers? I was born and raised in North Carolina. Everything to know can be learned through the music. I am a servant of Love and give my breath on Earth to facilitate compassion and connection amongst all things. -When did you start to play\sing ? In the womb! But actually I’ve been playing instruments ever since I was little, but was given a guitar at 16 and began singing around 17 and writing songs around 18, a critical time to begin learning these expression techniques. I also like to incorporate rocks, sticks, leaves, and other gifts of nature to make percussive sounds. I always say sun kissed mountain flower music. It’s based largely in a folk fusion style using organic acoustic instruments along with earth-tone percussion and a mantric vocal style, emphasizing themes of Love, wonder, and connection to the Great Mother Nature. 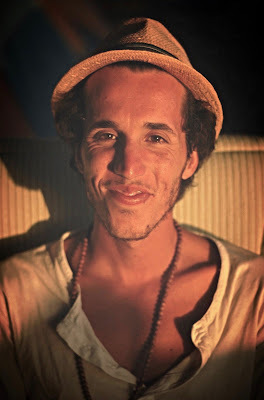 Raising consciousness and awareness is a huge goal of the music, as well as facilitating personal and global healing. -Do you write either the songs and the music or do you work with someone else? The songs are written through a dialogue with the Great Mother herself, the Spirit of Nature, the Goddess of the Wilderness. Through communication with her breath in the form of leaves and rivers and wind, she is the song, and my work is to transcribe her language and infuse it with the emotion of our humanity to create a form recognizable to all our brothers and sisters in the human family so to sing a bridge into existence between humanity and “the transcendent Other”. Oh, Love, the truth that everything is connected. You are Nature. That which is outside is also inside. If you listen, you will hear. You will be guided, by what some call God, others call it the heart, the ancestors, Spirit, the Universe, Consciousness, etc. Language is everywhere, melody is everywhere, wind, ocean, river, rhythm exists in all things, all things are rhythm, everything is rhythm. Everything is music. -Do you want to tell us something about the upcoming album? Is this your first album? This is my first album and it would not have been possible without the love and support of all the people involved in the project. The Great Spirit that flows through everyone and all things is the source of all beauty we see. The seeds we sow are the fruits that grow. I am grateful. The balance will always prevail. The dark and the light must always be equal and lovers. I wouldn’t want it any other way. But a center wish would be to for everyone to treat everyone else with love and compassion. I love you. And, Our ancestors live in the leaves and our descendents live in the seeds. So sit with them, be with your family of the Earth, and realize that every being ever to have lived and every being that ever will live is your family. Furthermore, the beings that live purely in spirit like the rivers and the wind and the sun, they are your great relatives and they will always look after you, as much a part of you as your own heart pumping life through you. -Where can we follow you ? ( social\youtube\website) And where we can buy your album ? Come connect! Album can be downloaded for FREE or name your price on Bandcamp, or bought on itunes. Download the record for free and share it!! If you like it and want to support future work, there are ways to do that. However, I first and foremost above all costs, want you to listen to the music! Thank you so much Steven and keep up the good job you're doing ! We look forward listening to your full album as soon as it will be released !